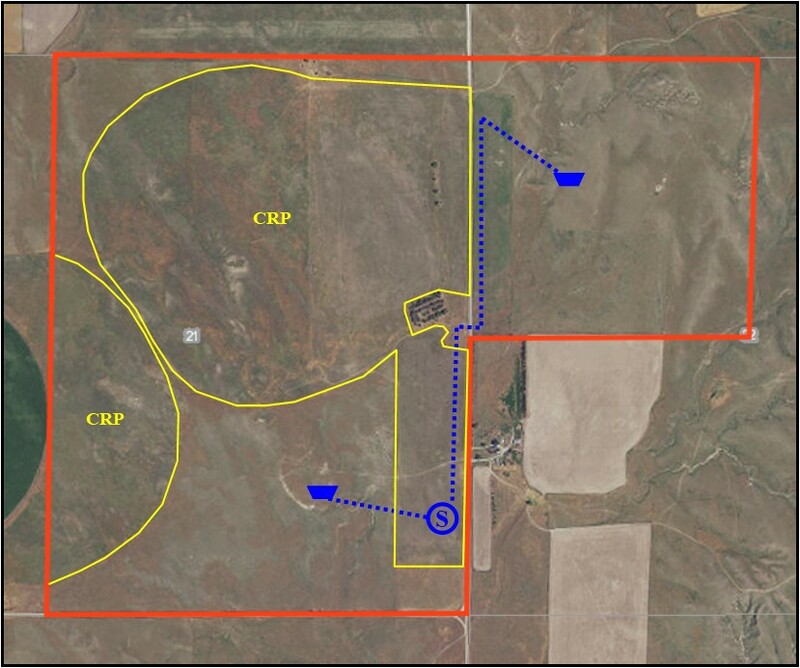 Description: 641 acres located approximately 4 miles northeast of Oshkosh, Nebraska with a combination of rangeland and CRP. 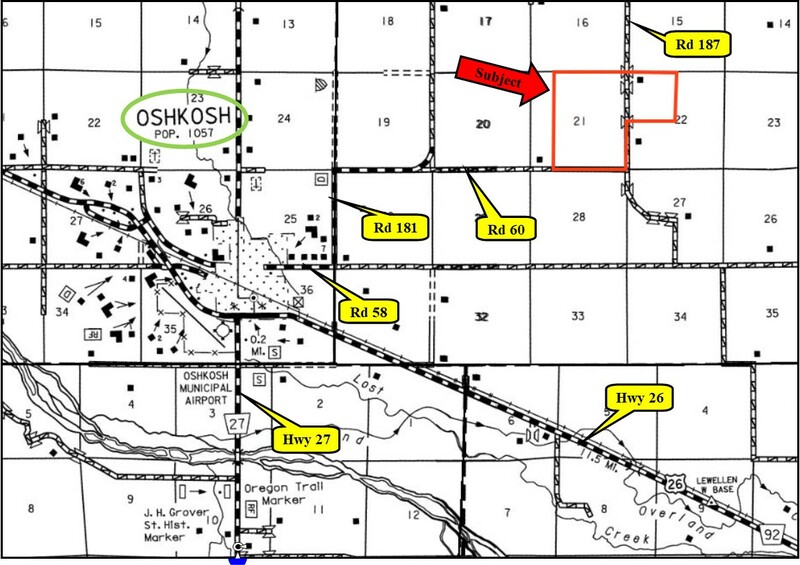 E1/2, E1/2W1/2 Section 21; NW1/4 Section 22-T17N-R43W of the 6th P.M., Garden County, Nebraska. 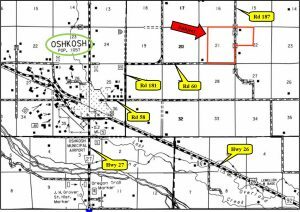 From Oshkosh, Nebraska, the property is located 1/2 mile east on Road 58, then 1 miles north on Rd 181, then 2 1/4 miles east on Road 60. 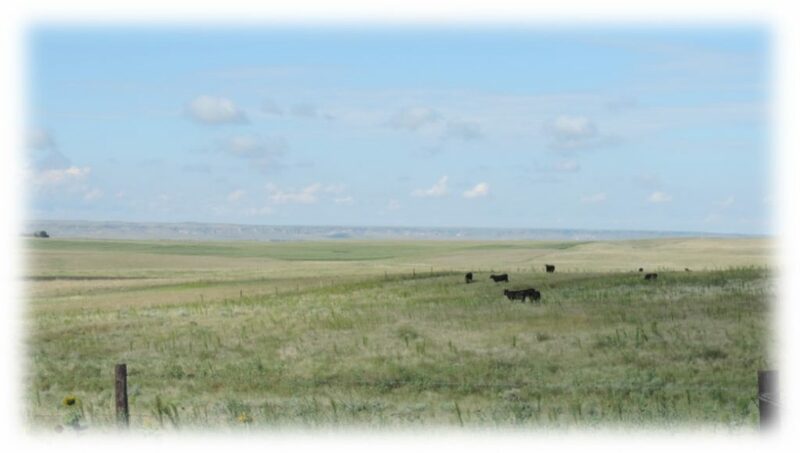 The property includes a combination of rangeland and CRP. 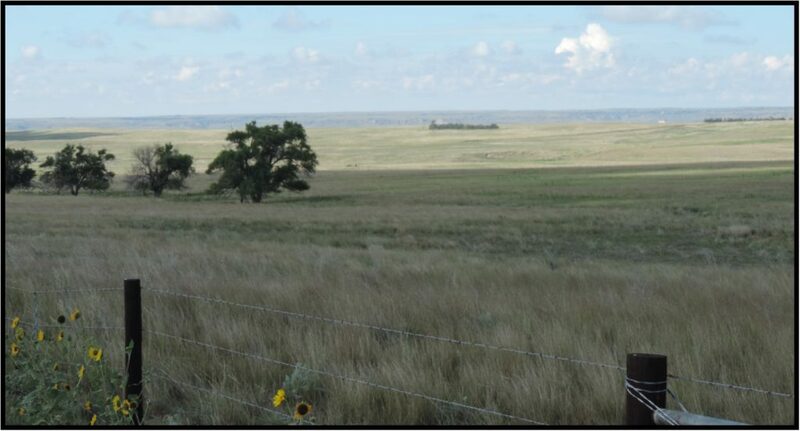 There are 309.59 acres enrolled in CRP through September 30, 2026 with an annual payment of $11,591. 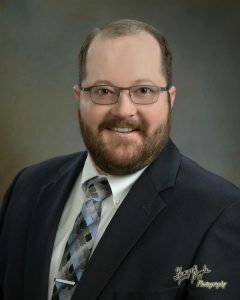 There is one submersible well located on the eastern edge of Section 21, with pipeline to two tanks. There is also a windmill on the northern edge. 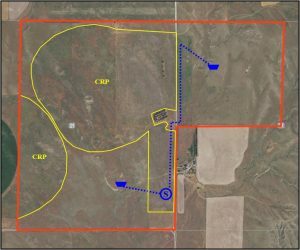 There is an easement to an active irrigation well located on the property that serves other land located west of this property that is owned by a third party.